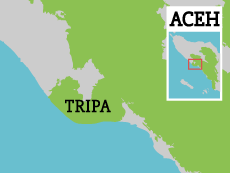 Tripa is the northern-most peat swamp in the Leuser Ecosystem, rich in biodiversity and carbon storage. It was well known for containing the highest density of Sumatran orangutans in the world, and was dubbed the orangutan capital of the world. Unfortunately forest destruction in Tripa has taken a severe toll on this once beautiful site and on the orangutans in the area. Of the original 61,000 hectares, less than 12,000 ha of intact forest currently remains. The rest was cleared, drained and destroyed to make way for at least five palm oil concessions in the area. Shocked by this rampant destruction, a coalition of civil society organisations got together and launched a campaign against PT Kallista Alam in November 2011, after the former Aceh Governor issued an illegal permit allowing the company to conduct land clearing in Tripa. campaign escalated when the company decided to utilize forest fires to clear land and make way for expansion of their palm oil plantations. 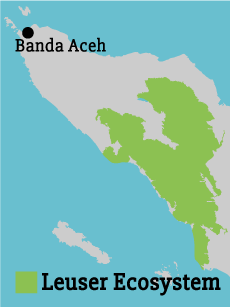 Lawsuits started by WALHI (Friends of the Earth Indonesia – Aceh) and a broad coalition against PT Kallista Alam were followed up by other lawsuits by the Ministry of Environment and provincial police against the environmental crimes the palm oil company committed. In January 2014 PT Kallista Alam was fined almost $30 million dollars for their illegal environmental damage to the Tripa peat swamps, a historic ruling that has rippled through the local palm oil producers sending a clear message to anyone contemplating destroying the Leuser Ecosystem. Recently, local community and government working together have begun closing illegal canals in key areas of Tripa. This will prevent further degradation, and allow the environment to begin regenerating.